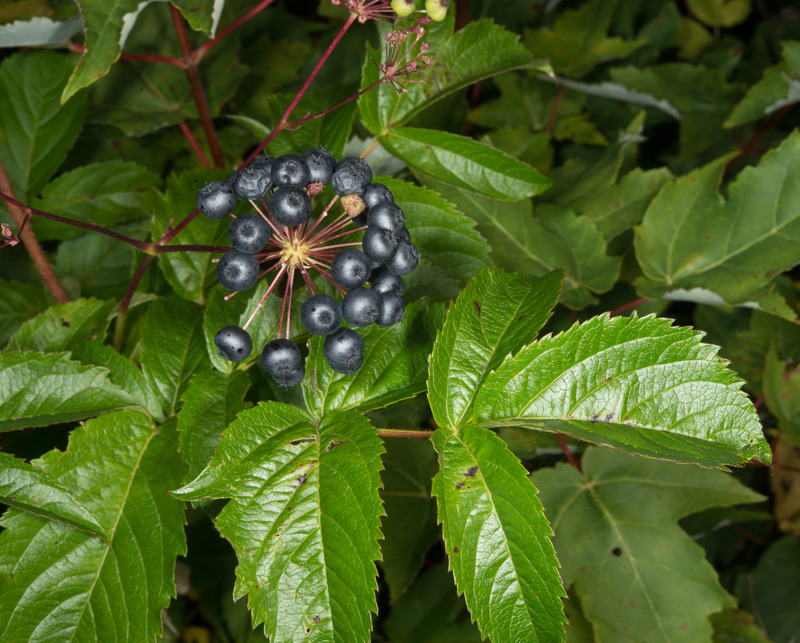 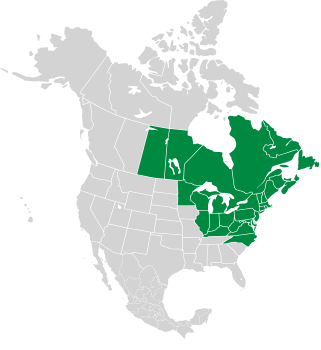 Bristly sarsaparilla is native to eastern North America. The species name, hispida, means “rough,” referring to the bristles on the lower stems. 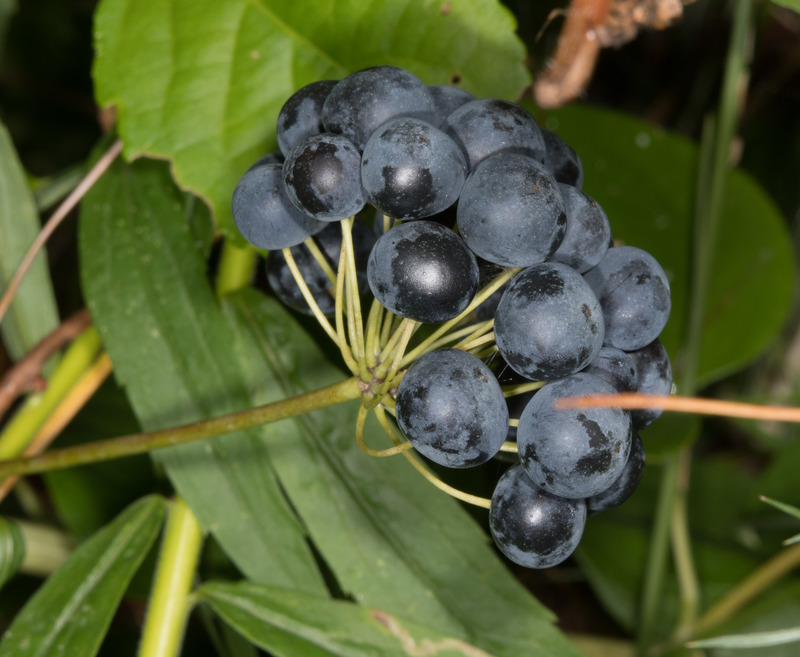 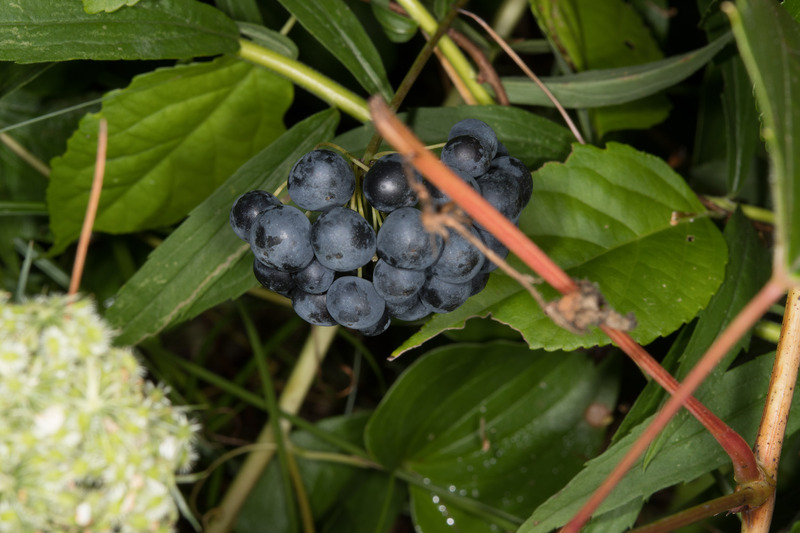 Identification: This unpleasant-smelling perennial is 6-30" (15-76 cm) in height, upright, except when it is bowed under the weight of its copious berries. 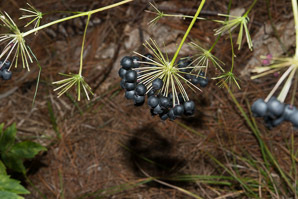 The lower stems have bristles. 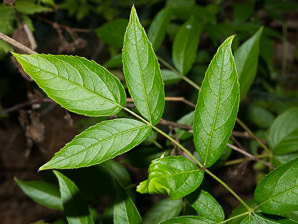 Leaves are twice pinnately divided. (Pinnate means “with many opposing pairs of leaves,” like the veins of a feather. Bipinnate means “pairs of smaller pairs.” Twice pinnately divided means “a pair of pinnate branches.” You can see this clearly in Photo 11.) 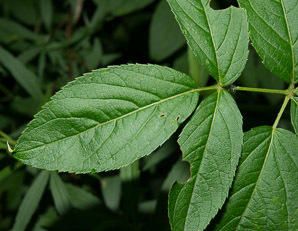 Leaves are clustered on the lower portions of the plants. They are serrated (sharp toothed), oblong to elliptic, up to 3" (8.3 cm) long. 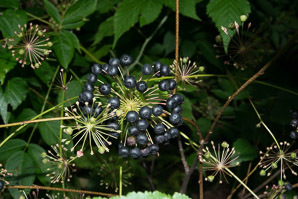 The flowers form umbels, clusters that are almost perfectly round. 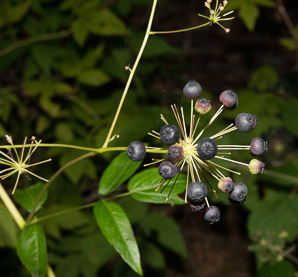 Each individual flower is on a tiny ½" (1.3 cm) stem that emerges from a central point, forming delicate spheres of cream-colored or greenish flowers perched atop long stems. 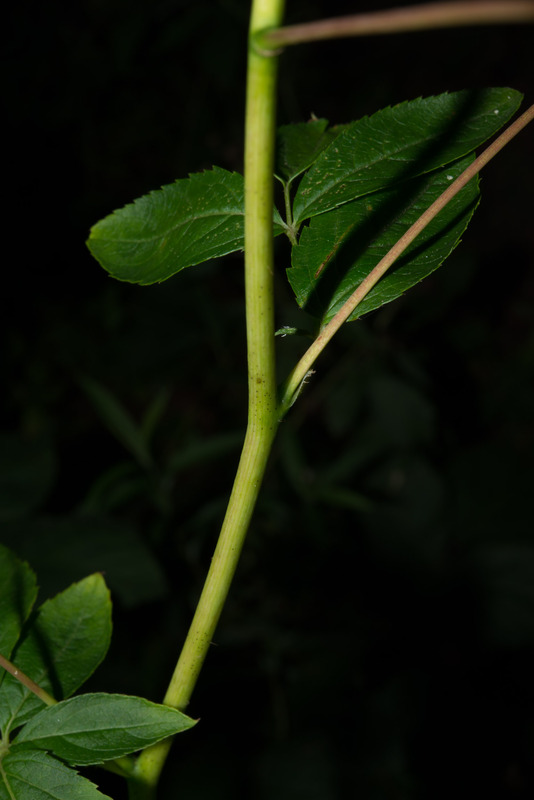 Each flower is about ¼" (6.3 mm) in size, with five petals. 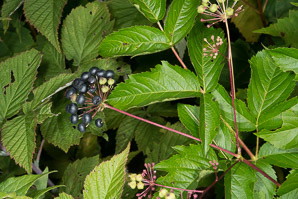 They appear in June through September. 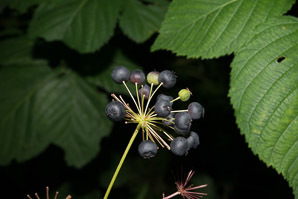 The flowers become distinctive blue-black berry clusters. 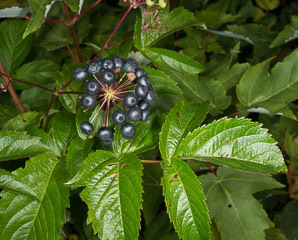 Bristly sarsaparilla grows in rocky or sandy soils that are low in nutrients. 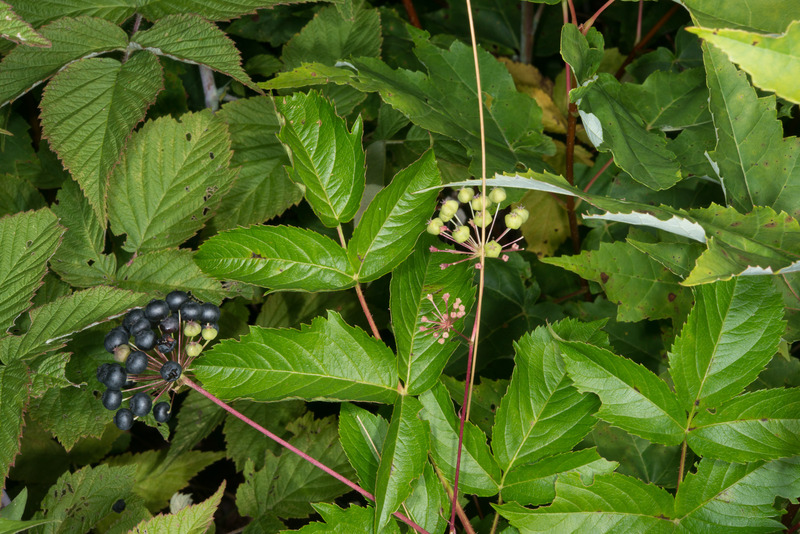 Wild sarsaparilla (Aralia nudicaulis) Short plants often found in North American forests, with bare stems topped with leaves in a flat plane, and flowers nestled underneath the leaves. 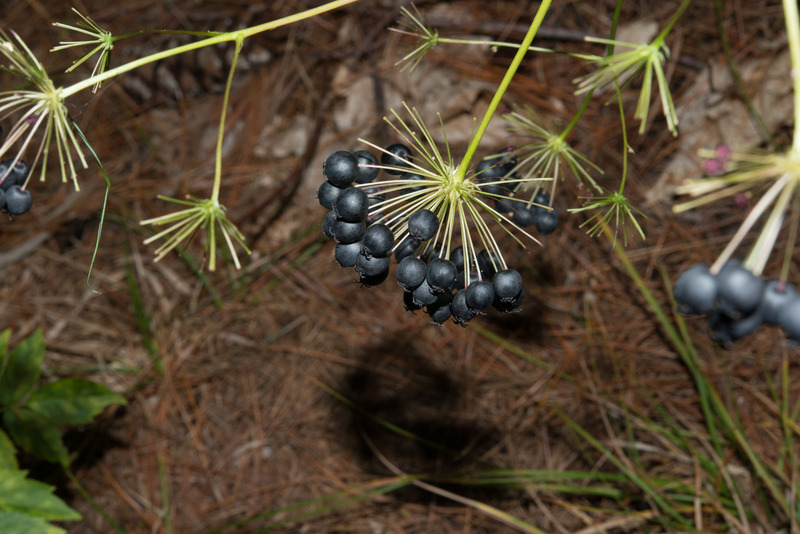 Bristly sarsaparilla (Aralia hispida) A close relative, but larger and with stems that are covered with bristly hairs; stems of A. nudicaulis are smooth. 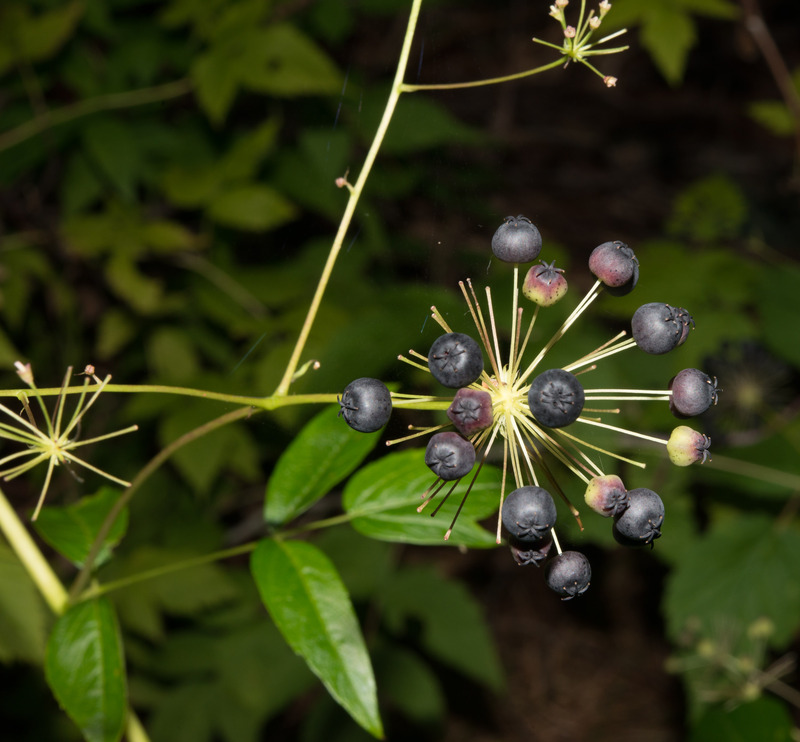 Sarsaparilla (Smilax officinalis and other species) A vine native to Jamaica, reaching up to 50' (15 m) in length, with long underground roots that have been used in some soft drinks and for various ailments. 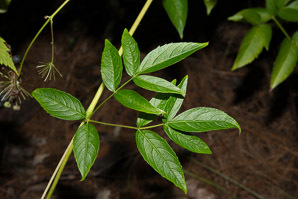 Poison ivy (Toxicodendron radicans) An unrelated but highly toxic plant that is vaguely similar in appearance to wild sarsaparilla and has leaves in groups of three. Australian sarsaparilla tree (Alphitonia petriei) A fast-growing evergreen tree with bark and leaves that smell like liniment when rubbed. 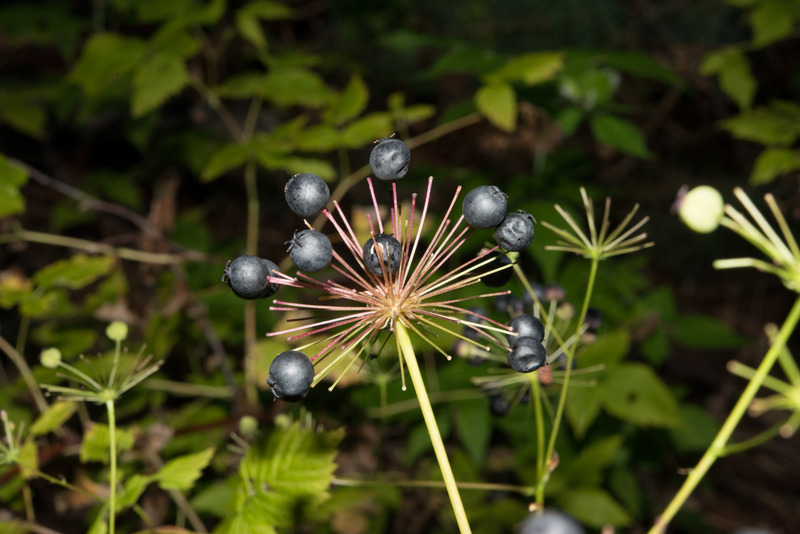 Edibility: Not edible. 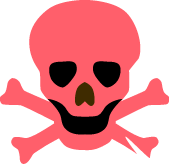 The berries will make you sick. 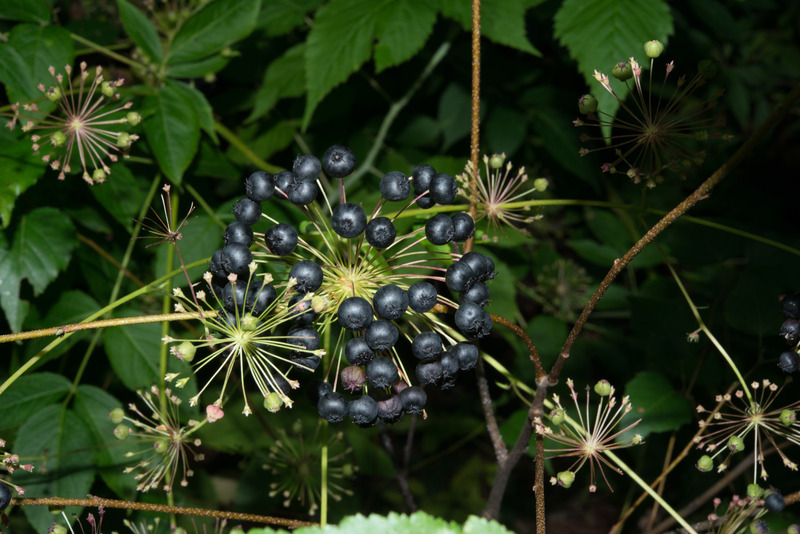 Aralia hispida description by Thomas H. Kent, last updated 2 Jan 2019.